Dami Roelse will be signing books at booth 39 at the Portland Book Festival on November 10th. Dami Roelse, a certified life coach and blogger shares in her writing how the walking lifestyle has given a positive spin on life after the loss of her life partner. Born in Holland, Roelse has traveled the world, including several treks in the Himalayas. 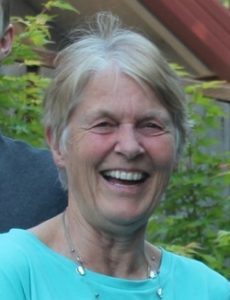 She has also hiked long sections of the Pacific Crest trail, often leading groups of women in this endeavor. Deeply connected to the out-of-doors, Dami enjoys bringing others to the experience, inspiring them to make life the best it can be no matter their age. A memoir of a hike in Ladakh is forthcoming. 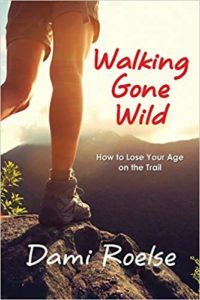 WALKING GONE WILD is a fact-filled book by Dami Roelse that explores and explains walking, hiking, and backpacking as a means to re-invigorating life for women as they age. Interlaced with stories of real women who have built confidence through walking, it presents a new model of aging with vitality, grace, and a deepened connection to life. Find out more.